I recently had the pleasure of capturing Kimberley and Kevin's intimate wedding. 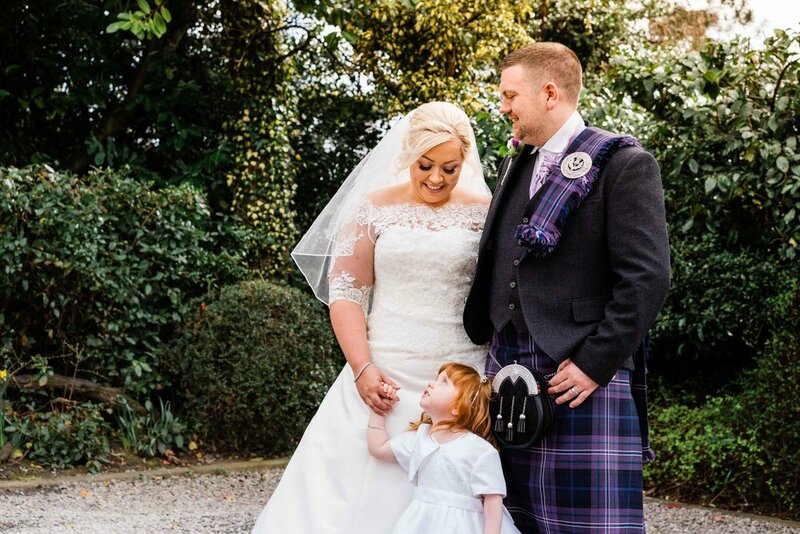 Kimberley was such a beautiful bride, and was beaming with happiness as she married her partner, Kevin. The bride had booked me for my relaxed documentary, storytelling style but she did have a request to get a photograph of her and her new husband on the staircase. I always look for unique perspectives to make your photographs stand out and I just love this shot of them on the staircase. My main focus will always be on capturing the human elements of your day, but I still love to take on the task of creating something more artistic, mastering the available light and achieving that unique composition.